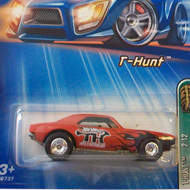 3/12 from the 2005 Treasure Hunt series. 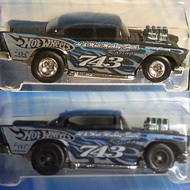 The white Corvette features black and blue flames on the sides and top as well as the TH logo on the back. 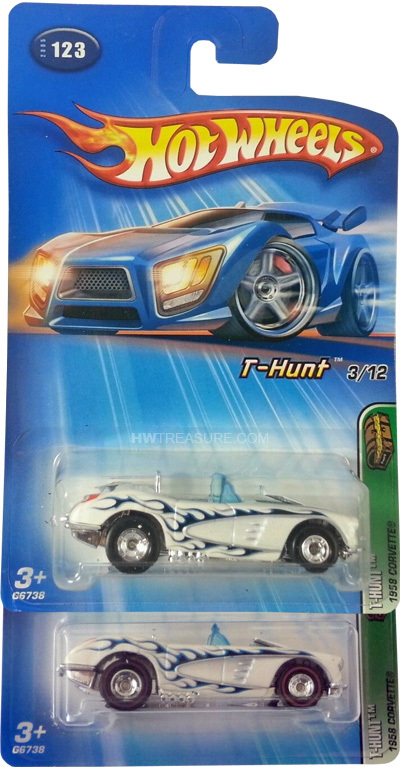 It has light blue windows, chrome interior, and a chrome Malaysia base. There are two variations of the convertible. They both have Deep Dish Real Rider wheels but one has black walls and the other has red line tires.